Dr. Vivek S. Kushwaha, Director, Institute of Business Management and Research, IPS Academy with a rich experience of 21 years of Industry and Academia, did his MBA with dual specialization in Finance and Marketing from Pune University and Ph.D in Economics from DAVV, Indore. He has written Forty nine research papers that includes national and international publications. 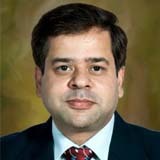 His field of Research includes SEZ’s, WTO, Foreign Institutional Investments, Derivatives, stock markets and many more. Currently eight research scholars are pursuing Ph.D under his guidance and ten candidates are awarded their doctoral degree. He had also successfully conducted the training programme of MCX Exchange, Mumbai. He is recognized as one of the pioneer faculty members to be a ‘Certified Entrepreneurship Trainer’ by NEN, a Wadhwani foundation in association with IIM Bangalore and Stanford University, USA. He has two years of industry and 9 years of teaching experience in management. He has 18 national and international research publications, attended conferences, workshops and seminars. He has also attended various FDP’s conducted by AICTE, UGC & IIT Bombay. He has 9 Years of teaching experience. He has many research publications to his credit. He has attended conferences, workshops and seminars organized by various institutes in India. She has over six years of teaching experience at postgraduate level. 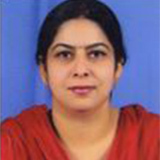 She has published several research papers in National and International Journals. She has also attended National and International Conferences, Seminars, Workshops. Her research interest areas include Human resource. 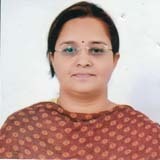 A self-motivated and disciplined person, she has been working in IBMR, IPS Academy since October 2012. She has achieved her Doctorate from DAVV Indore. She has to her credit industry and teaching experience of 22 years. 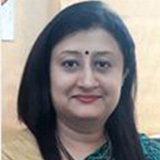 She has a number of research publications in various reputed National and International Journals and has also attended several conferences. 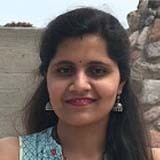 She has been discharging her duties as an Assistant Editor of the UGC listed Journal published by IBMR, IPS Academy from the last four years. She is also a registered Ph. D guide at DAVV Indore. She has ten years of teaching experience and two years of Industry experience. 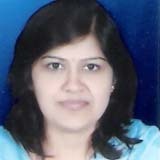 She has attended a number of national and international conferences and presented papers in same, she has published a number of research papers in reputed journals as well. He has a vast experience of teaching at postgraduate level. 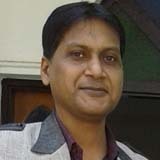 He has participated in National and International Conferences and published research papers. He has also attended several National and International Conferences, Seminars, Workshops, Faculty Development Programs organized by renowned institutes including IIT Bombay. His areas of interest are Management, Computers and Education. She has 18 years of work experience. She has many National & International Research publications to her credit and attended various conference, workshops and seminars. She has also attended various FDP’s. 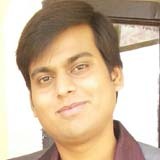 Mr. Arpan Shrivastava is Post Graduate in Management, Specialized in International Business and pursuing Ph.D (in Management) From DAVV. He has 9 years of teaching and 4 years of industrial experience in the field of International Marketing, Economics, Management and Foreign Exchange. 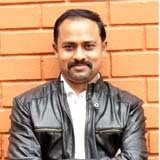 He has presented several research papers in National and International conferences and published Research Papers in Proceedings and Journals and attended workshops and conferences conducted by renowned institutes like IIT Bombay and Nirma University. She has over 3 years of teaching experience at PG level. She has attended various Seminars, FDPs from renowned institutes like IIT Mumbai, etc. Her research interest is in econometric modeling. Her teaching interests include econometric forecasting, operational research etc. 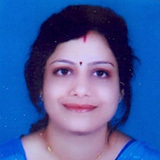 Ms. Barkha Agrawal has 5 years of academic experience in area of Human Resource and Marketing. 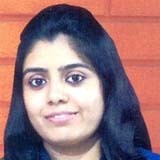 She is pursuing Ph.D in Management from Devi Ahilya Vishwa Vidyalay, Indore. 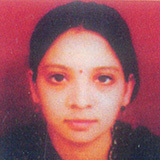 She has attended various National and International Conferences and published papers for same. She has attended various FDPs, Case Writing Workshops, and Research Methodology Workshops by renowned institutes. 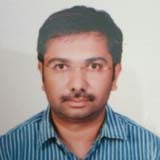 He has worked in Financial Industry (ICICI Securities) & also has experience of working in IT industry. 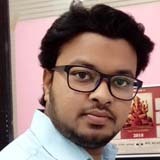 He has completed many IT Projects like E-Commerce Websites. She has a year plus experience in teaching graduates while she worked for corporate field for around five years. 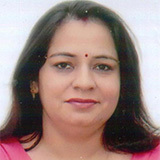 She has written various research papers in areas of HR and marketing. She has participated in National and International level Conferences, seminars and workshops too. Dr. C.K. Goyal has total eighteen years of work experience in teaching and research. His area of specialization is Quantitative techniques and Mathematical economics. He has attended several national & International conferences, FDP’s, Seminars, Workshops organized by renowned B-Schools. He has presented research papers in several national and international conferences and has many national and international publications to his credit. 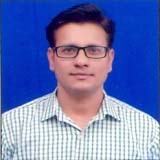 He is approved Ph.D guide in Management and Economics by DAVV, Indore. Five research scholars are awarded Ph.D under his guidance. He has over 8 years of teaching experience. 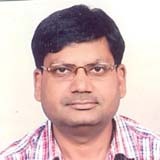 He has published several research papers in journals. His area of interest includes human resource management and organization development. She has industry experience of working as a Research Analyst for three years and five years of teaching experience at postgraduate level. She has published research papers in Journals and is also a Certified Trainer for conducting training for Professional Trainers. She has teaching experience of 2 years. Her field of interest includes marketing and finance. She has attended several National and International Conferences. 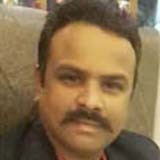 Mr. Gagan Bhati is associated with IBMR, IPS Academy as faculty of finance. He has more than eight years of teaching experience at postgraduate and undergraduate level. He has intellectually contributed in several national and international level research publications and various conference proceedings. He has attended various Faculty Development programs and workshops. He imparts knowledge of finance and related subjects in business management.